I don't know about other mom's with babies in the summer time, but my girl (girls actually) always seem hot and sweaty. I love adorable and sweet baby outfits, but between the spit up, a gazillion diaper changes, and sticky humidity we spend the major of our time in cotton onesies or rompers, or better yet, in nothing at all! Between Ashlynn potty training and living in elastic waist shorts and Kenley having the super power to turn her carseat into her own personal sauna, I try to dress them as cooly as I can. 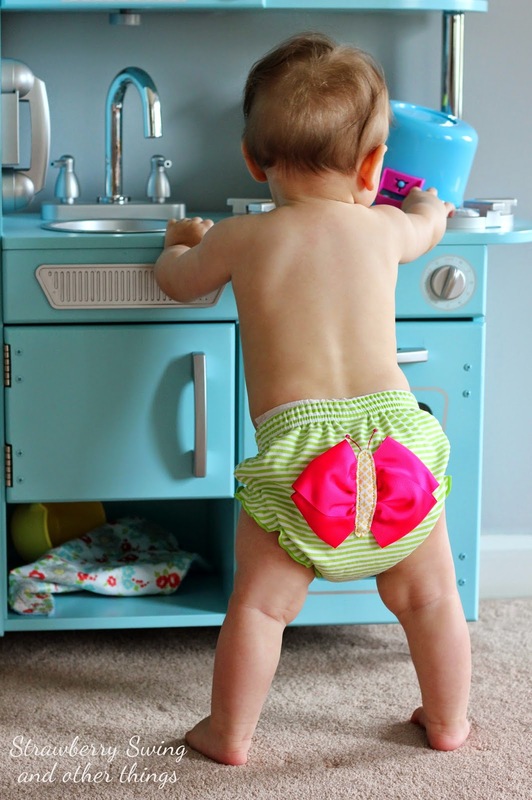 Which is why I love little baby bloomers and diaper covers - easy and adorable. When Baby Aspen asked if I'd like to host a giveaway for my readers, I jumped at the chance. They have the cutest gifts for baby! I have a baby shower to attend next month and I always like to include a non-registry item in my gift to make it more personal. Baby Aspen has all those perfect gifts that guests will 'ohh and ahh' over just like these adorable Buzzin' Baby Bloomers and coordinating Butterfly Blanket. The blanket is so cuddly soft and the bloomers are made a nice sturdy weight cotton, which is appreciated since it holds up well in the wash. There are so many adorable options Babycakes, Beach Bums, and Dyno-mite. I also love the cute bath robes, like this squeaky clean mouse and variety of socks (what is it about baby socks?). Thank you to Baby Apsen for sponsoring this giveaway, and cute baby tooshes everywhere! 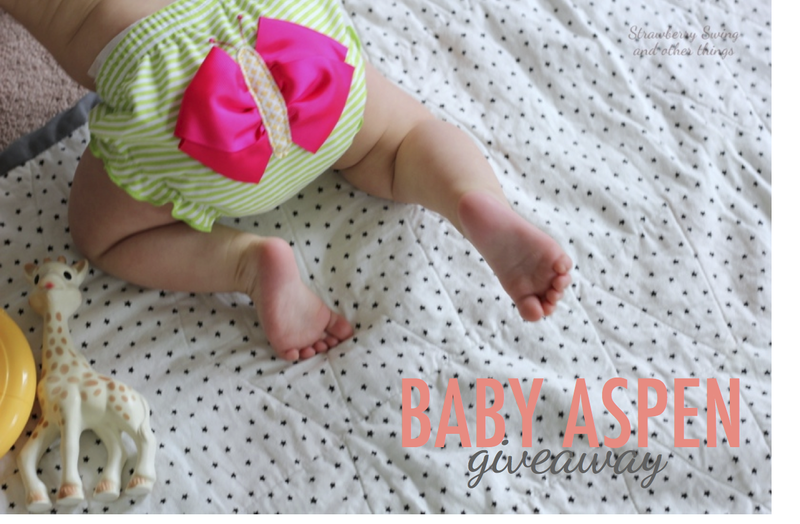 If you'd like to win Buzzin' Bloomers and a Butterfly Blanket from Baby Aspen to spoil your baby or someone else, enter below! Baby butts are so cute! Love the bloomers! I've been waiting all day to enter. These are the cutest and seriously Ellie turns everything into her personal sauna! PS I can't get over that K is standing already!! !